Do These Cases Affect You? It's been a busy couple of weeks here at ClassAction.org. Following a 60 Minutes investigation into Lumber Liquidators' laminate flooring, thousands of you got in touch to share your stories and ask for more information. We're working to bring you the most up-to-date info we can. We now have a Q&A with attorneys handling the investigation and a blog about the filed lawsuits. You can also follow us on Twitter and Facebook, where we'll share more news as it comes in. In the meantime, if you'd like to learn more about class action lawsuits and how they work, you can read our guides and FAQs. In an increasingly connected world, access to the Internet has become an essential part of travel and business. 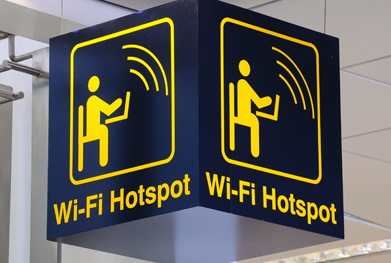 Hotels, conference centers and other venues are expected to have Wi-Fi - and because many charge extra fees to connect, plenty of people opt to use personal Wi-Fi hotspots available through their cell phone service. It's a good way to make sure you're always connected - unless, that is, the hotel you're staying at blocks your personal access and asks you to pay to use its own Wi-Fi. That's exactly what some businesses have been doing, and the FTC has now issued a public notice expressly banning the practice. If your personal hotspot was blocked while you were staying at a hotel or other venue, you may be able to take part in a lawsuit. For more information, click here. If you have a private student loan serviced by Navient (formerly known as Sallie Mae), you may be able to take part in a class action lawsuit. According to a suit filed in California, Sallie Mae/Navient charges a 5% late fee for missed student loan payments, but the percentage bears no relation to the actual costs incurred by Sallie Mae. In fact, the 5% fee equates to an annual interest rate of 120% - an exorbitant amount that may violate California's consumer protection laws. Attorneys are investigating whether individuals from states other than California who have private student loans from Navient/Sallie Mae may be able to take action. Is this you? Get in touch today. Mothers who were prescribed Zofran to treat morning sickness while pregnant may be able to file lawsuits if their children were born with birth defects. Zofran was never approved for use in pregnant women and may be linked to certain birth defects, including cleft palate and heart problems. Despite not being approved by the FDA for use in patients who are pregnant, Zofran's manufacturer, GlaxoSmithKline, allegedly encouraged doctors to prescribe the drug to treat morning sickness. Advertising a prescription drug for a non-approved use is known as "off label" marketing and is illegal. If you took Zofran for morning sickness and your child was born with a birth defect, you may be able to sue GlaxoSmithKline and recover compensation for medical bills and other losses. Read more. Attorneys are investigating lawsuits over Purina's Beneful dry "kibble" dog food following thousands of complaints that the food made dogs sick and that some even died after eating it. According to reports, some Purina dog foods contain dangerous or toxic ingredients that can lead to serious health problems in dogs. Has your dog gotten sick after eating Beneful products? Check out the full story on our Purina page. We reported last week on a group of Gawker interns who had filed a lawsuit against the company for failing to pay them properly. The plaintiffs were hoping to use social media to find more "opt-in" plaintiffs - something Gawker petitioned the judge to stop. Well, now we know: Gawker was successful. On Friday, a judge ruled that the use of social media lacked any realistic notion of targeting the intended audience. No one likes spam - whether it's to your e-mail or your cell phone. There are strict regulations about how and when a company can contact you, with hefty fines to match when companies abuse your contact information. According to a recently filed lawsuit, Facebook is one such company. Plaintiff Noah Duguid claims he received text messages from Facebook alerting him to suspicious account log-ins despite not giving them permission. What's more, the lawsuit alleges that some people are getting "spam" texts even when they don't have a Facebook account. The suit is seeking more than $5 million to settle claims the company violated the Telephone Consumer Protection Act. J&J was hit with a $2.5 million verdict earlier this week in the first ruling on the company's antipsychotic drug Risperdal. The jury found the company failed to provide enough warning to doctors and patients about the risk of breast growth in boys who took the medication. The FDA released a safety communication clarifying the intended use of testosterone products and highlighting the risk of heart problems and strokes in some patients. The administration will now require label changes on the so-called "low-t" medications to reflect the possible dangers and side effects.